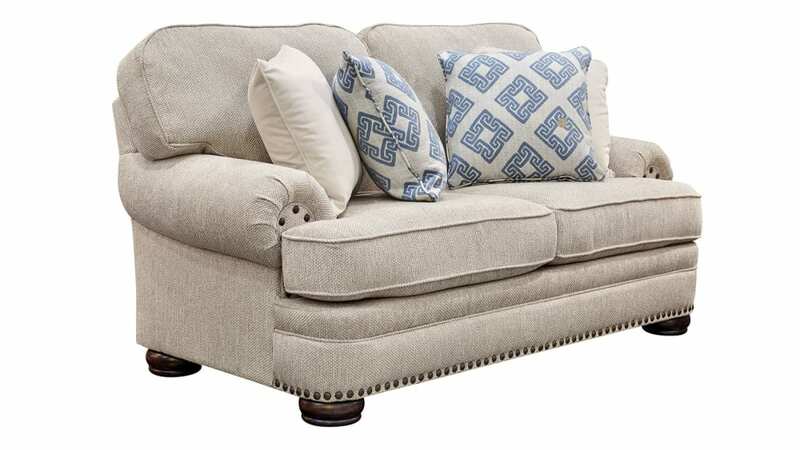 This casual top of the line loveseat, is one of our favorites, and a best seller too. It's easy to see why! For starters, it's a generous 76'' long and features 4 accent pillows to curl up and relax on. 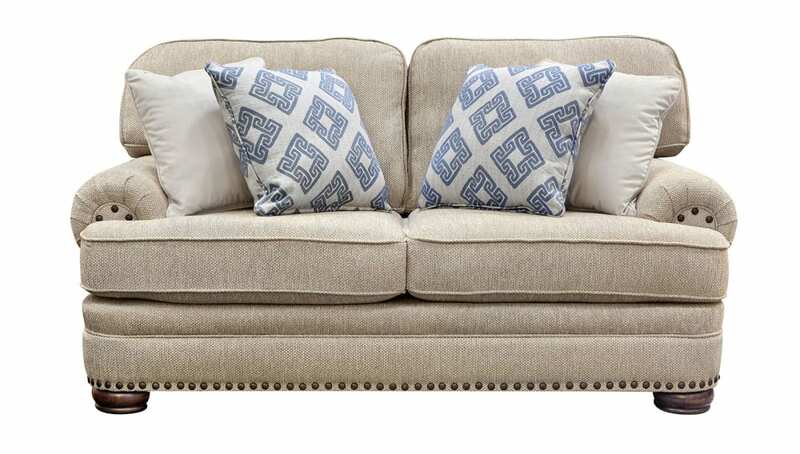 The loose pillow backs, roll arms, and turned wood legs give it a laid back, casual look? Wrap up in comfort from the first moment, but will last for years.